The statutory regime for the disclosure of price sensitive information (PSI), called “inside information” under the new regime, takes effect since 1 January 2013. Disclosure of PSI has long been governed by the non-statutory Listing Rules (under Chapter 13 of the Main Board Rules and Chapter 17 of the GEM Rules). Since 1 January this year, the obligation to disclose PSI becomes a statutory obligation under the new Part XIVA of the SFO. Breach of this obligation is a civil offence for which listed companies and their directors may be liable on conviction to a fine of up to HK$8 million. By way of background, this statutory backing for listed companies’ obligation to disclose PSI has been a long time in the making. Companies’ obligations under the Listing Rules used to be contractual obligations that they undertook to the Exchange to fulfill. They did not have the force of statute and did not give the Exchange statutory regulatory powers. Accordingly, the Exchange’s disciplinary powers were limited: it had no power to impose fines, but might publicly or privately censure firms in breach, and in extreme cases might suspend or cancel the listing of an issuer’s securities. A number of major jurisdictions which previously followed the non-statutory approach moved to a statutory approach in recent years and empowered their statutory agencies and courts to take statutory action against those breaching the rules. The UK transferred its listing regulatory role from the London Stock Exchange to the Financial Services Authority (FSA) which recast the listing requirements as statutory rules with statutory enforcement. Likewise Australia and Singapore have given their listing rules “statutory backing”. 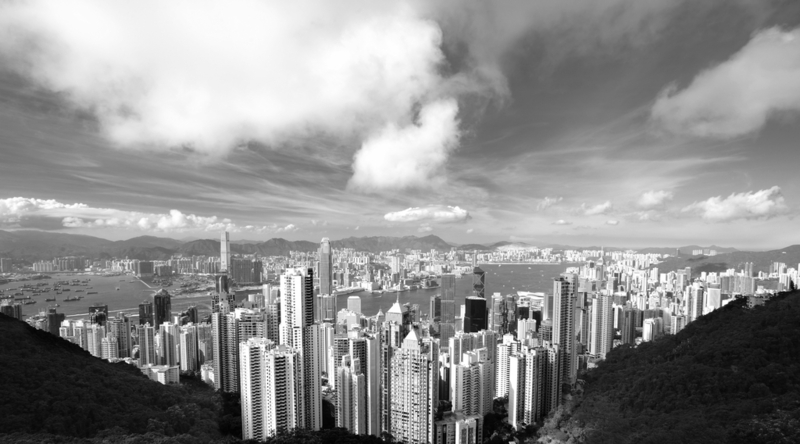 In Hong Kong, concerns were expressed about the lack of “regulatory teeth” in the Listing Rules. The Government and the SFC have already taken a number of initiatives aimed at strengthening regulation of listed companies. In 2003, the “dual filing” regime was established under the Securities and Futures (Stock Market Listing) Rules (SMLR) under the Securities and Futures Ordinance. This imposes criminal liability on listing applicants and listed issuers who intentionally or recklessly disclose materially false or misleading information to the public. In 2004, proposals were put forward to build on the dual filing regime and codify the most important Listing Rule obligations into subsidiary legislation. The SFC would then be responsible for enforcing those provisions while the Exchange would continue to receive listing applications and administer the listing process as the frontline regulator of listed companies. Respondents to the consultation had concerns that importing the detailed requirements of the listing rules into Statute could reduce flexibility making it difficult for the rules to be amended expeditiously in response to market needs. There were also concerns that an unintentional breach of the detailed requirements could be subject to severe statutory sanctions. As a result, the Consultation Conclusions published in February 2007 put forward an alternative approach: the statutory listing requirements would comprise a set of general principles representing issuers’ fundamental obligations. These would be supplemented by ancillary provisions set out in a schedule to the SFC facilitating easier amendment of the requirements if and when necessary. Non-compliance with the new general principles was proposed to constitute “market misconduct’ under Parts XIII and XIV SFO and subject to one of three types of sanction in serious cases: SFC disciplinary action, civil proceedings before the Market Misconduct Tribunal or criminal prosecution. In the event, the Consultation Conclusions were not implemented. Although the SFC claimed to have received widespread support for the proposals, there were certainly concerns with making the disclosure of PSI a statutory obligation. The perceived difficulty arises from the lack of certainty as to the definition of what constitutes PSI: what is PSI is a matter of professional judgment in the particular circumstances of any given case. Thus, of the 3 areas proposed for statutory codification, disclosure of PSI was probably the most problematic and controversial. Nevertheless, while there have not yet been any further moves to codify issuers’ financial reporting and notifiable and connected transaction disclosure obligations, the SFC seems intent upon codifying the obligation to disclose PSI. The Exchange conducted two consultations: one on amending the Listing Rules to avoid overlap with Part XIVA; the other on allowing the publication of PSI during trading hours subject to the implementation of short trading halts to allow the market to digest the information disclosed. The definition of “inside information” under the new statutory regime is the same as the definition of “relevant information” – which forms the basis of the offence of insider dealing under Parts XIII and XIV of the SFO. Hence the information which listed companies are required to announce under the new statutory disclosure obligation is the same information which, if possessed by a listed company’s directors and other insiders, prohibits them from dealing in the company’s securities under the insider dealing offences in Parts XIII and XIV SFO. Probably the greatest difficulty facing listed companies, their directors and advisers resulting from the transition to a statutory disclosure regime, is the difficulty of determining with certainty whether any given information falls within the definition of inside information. This is a matter of judgement. An error of judgement used to attract, at worst, disciplinary actions from the Exchange. Under the new regime, it could cost up to HK$ 8 million. The Exchange’s proposal to allow disclosure of PSI during trading hours. A recent European Court of Justice ruling in the case of Geltl v Daimler (June 2012).